Going to the dentist is counted among the most common fears. Children, even adults tend to panic before visiting the dentist, which may delay dental check-ups. However, missing a dental appointment only makes problems worse in the future. We at Westchase, FL offer sedation dentistry, which is convenient and comfortable. Patients are provided with nitrous dental sedation, also known as ‘laughing gas’, to cure unusual anxiety. The nitrous oxide and oxygen present in this sedation help patients relax and feel at ease. This not only helps patients to not fear but also helps us concentrate better on the procedure. After being sedated with nitrous, patients may feel numb and experience a warm sensation in their body. There might also be a feeling of heaviness in the body, but it all subsides when the nitrous oxide wears off. Sedation dentistry provides much easier regulation for the patient, unlike oral sedatives. Nitrous oxide works much quicker than a pill or oral liquid. It is often taken one hour before the scheduled appointment because of its delayed effects. This makes regulation easier during your appointment. We serve many patients throughout Westchase and the Tampa Area who looking for top quality dental sedation procedures. Sedation dentistry ensures that children, as well as adults, are safe during an examination or a procedure. This saves the dentist both time and effort, which otherwise might be utilized to continually trying to calm the patient down. There have been cases where the patient, mostly children, have left the exam chair, run out of the examination room or have experienced a panic due to anxiety. 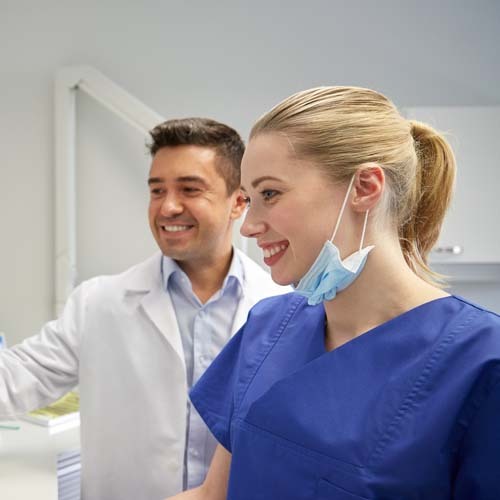 With sedation, accidents and injuries are less likely to occur, keeping the patient and the staff safe and enabling them to complete the procedure with efficiency. If the thought of dental work scares you, contact us at Westchase Premier Dental today. We’ll tell you more about nitrous oxide sedation dentistry. So, when you visit us, we will make your dental experience comfortable and relaxing – your visit will be worth your time. Keep your dental health up to its highest standard with regular teeth cleaning in Westchase, Fl. Contact our staff today to schedule an appointment with us. You will enjoy our office atmosphere. We will make sure that your procedure is a pleasant experience and we will provide you with many conveniences to make sure you are comfortable. Dr. John Castellano, Dr. Rebecca Benedict, the Westchase Premier Dental team and the staff members are trained, friendly, and highly trusted.